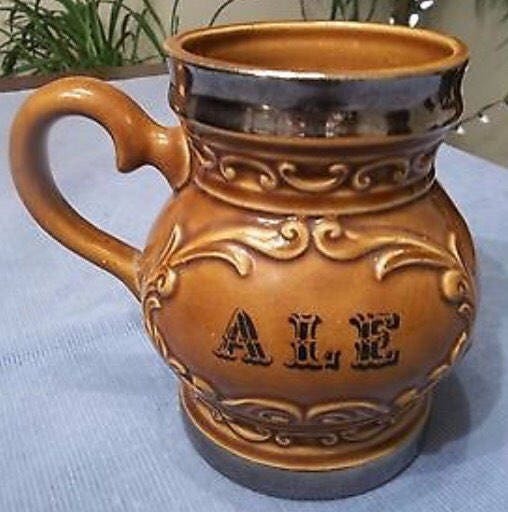 VINTAGE 5" TALL STEIN ALE MUG NUMBERED 346. VINTAGE PALE BROWN WITH SOME CRAZING. 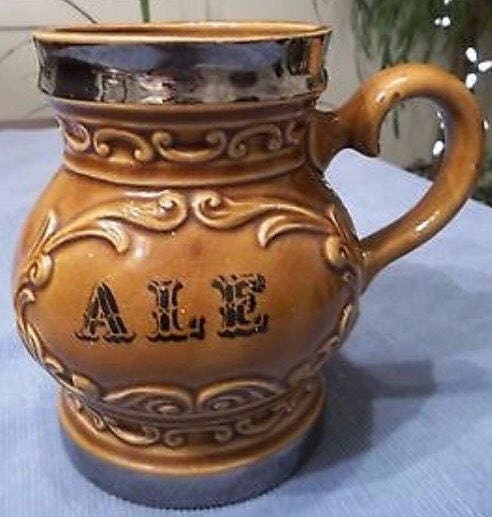 "ALE" IS LABLED IN BLACK LETTERING ON BOTH SIDES WITH A C SHAPEDE HANDLE. SHINEY METALLIC TRIM ON TOP RIM AND BOTTOM. 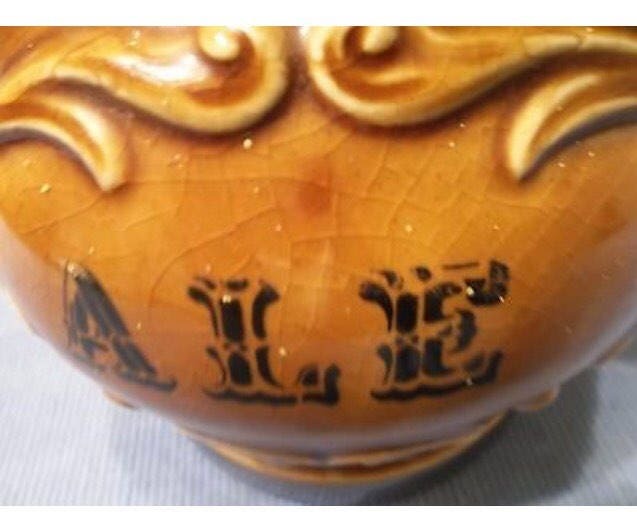 DECORATIVE MOLDED DESIGN THROUGHOUT. 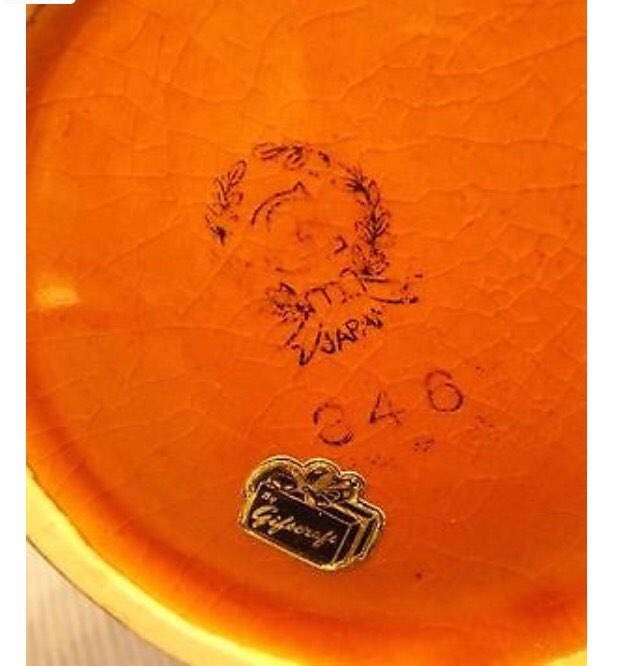 BOTTOMM HAS GIFTCRAFT IMPRINT WITH NO 346 AND A GIFTCRAFT STICKER. GOOD VINTAGE CONDITION WITH SOME CRAZING.